Opening a wine tasting room next to wine store sounds like a great idea, right? 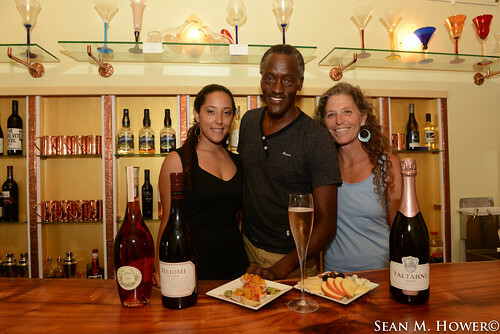 That’s what Gregory Brown and Susun White, Owners of Paia’s Wine Corner, thought when they began the process of opening the narrow space next door to their specialty wine, beer and liquor shop. Turns out it was a bit more complicated than that. Still, they succeeded in transforming Da Vine Art into a full-fledged wine and cocktail bar, complete with tapas. Da Vine Art opened in October 2013, but it’s taken some time to blossom. The concept for a tasting room seemed simple enough–come by for a few sips, find something you like and then purchase a bottle next door. It sounds good, but Brown said that it wasn’t really enough to get the place off the ground. So they scrapped the tasting room only idea, then opened a full wine bar with beer and spirits and added pupus. The bar is cozy and adorned with a gorgeous hand-carved wooden bar top, and art glass by Rick Strini. Modern stainless steel and black cushioned bar stools line the arc of the wood for seating and there are a few snug spots along the wall, too. Art and wine and bright pops of color round out the intellectual vibe of the space. It’s an elegant place for great conversation amid fine glasses and drinks. Da Vine Art offers a lot to taste. Like flights of alcohol–small servings or full servings of wine, beer and bubbles. A taste is 1.5 oz and a glass is 4 oz. 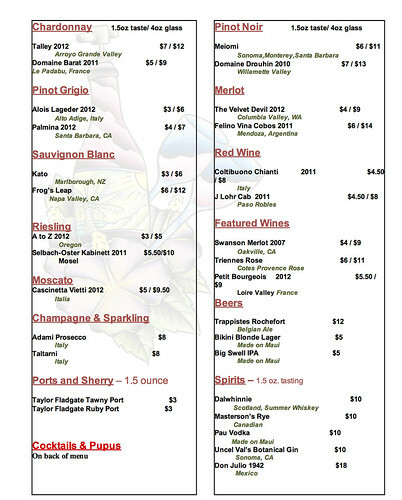 Tastes run $3 to $6 dollars depending on the wine, and glasses run between $5 and $14. 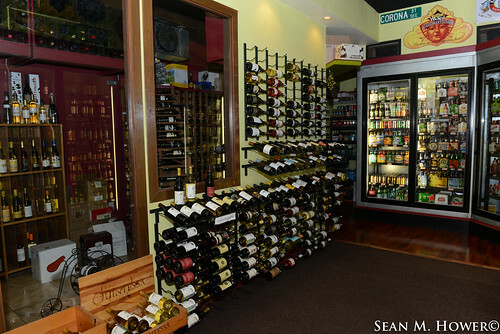 The bar offers a full selection of wines from whites to reds, sherry and more obscure grapes. 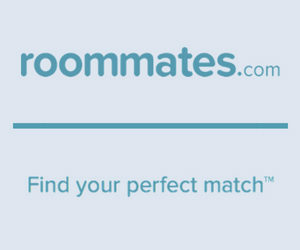 Most categories offer an American and international option. The wines range from mid-price to expensive but trying them by the taste or glass keeps it all pretty affordable. For instance, a pour of Don Julio 1942 is $18, which is pretty reasonable considering the bottle will run you over $100. Other spirit 1.5 tastes are all $10: Dalwhinnie summer Scotch, Masterson’s rye, Pau vodka and Uncle Val’s gin. 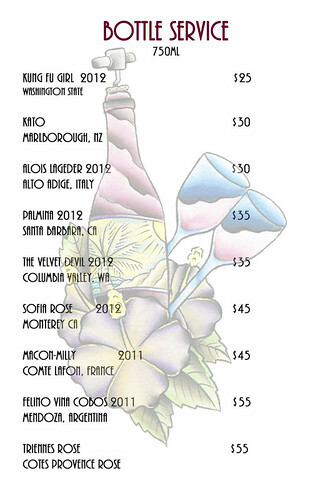 Another great way to taste is through their wine bottle service–in 375 ml or 750 ml sizes with and priced between $20 to $55 for wines from around the world. If you’re in the mood for a cocktail, order up. The mules are served in proper copper mugs and the martinis are shaken and chilled. All cost around $10. They also offer a menu of tapas–little, delicious bites to go with the drinks. They have gourmet fruits, cheeses, nuts, crostini, crackers, artichoke dip, tepanade, pesto and salsa cruda. There’s no kitchen, so your bartender whips up your order. Food runs $5 to $10. 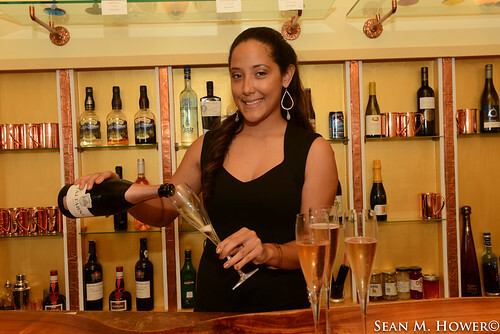 During a recent visit, my tasting started with a flute of bubbles–a glass of Taltarni–served by bartender Malia Miranda. I eased into a tapas platter of apples with a range of different pungent cheeses and nuts with honey and a balsamic glaze. The combination was the perfect pau hana–a great snack so the beverages don’t overtake you, but also not overtaking the beverages. When people come in and ask for recommendations in the store, Brown always starts by asking, “What are you going to eat with it?” It makes a difference in the pairing. He also says pinots are great for the Hawaii climate. 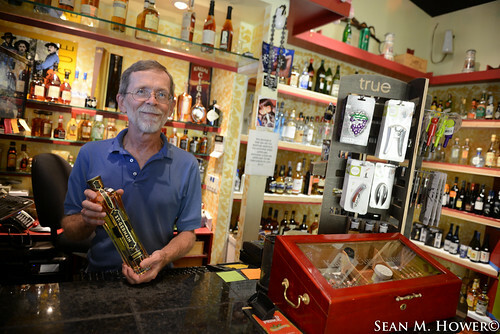 At the Wine Corner, they keep prices comparable to Internet and the Mainland or better. They like to pass the discounts on to the customer, and the customer service in the shop is intimate, and the same concept applies at the bar. Richard Gilmore has worked in the wine shop for more than nine years and is their appointed wine expert. That means he chooses their selection. 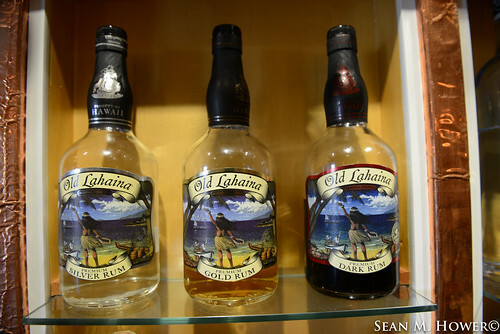 Besides their flights and tastings, the bar cocktail list has the basics–mai tais, cosmos, skinny drinks and mules–but they try to have all of their house spirits start local with Maui rums and vodkas. The bar is looking forward to a made-on-Maui gin. Ingredients are organic and local most of the time, sourced from the backyards and farms on the North Shore. 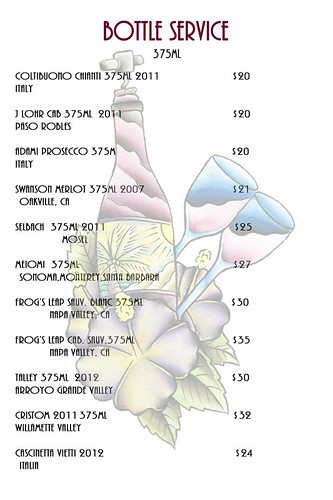 The wine and cocktail menus are seasonal and change monthly. 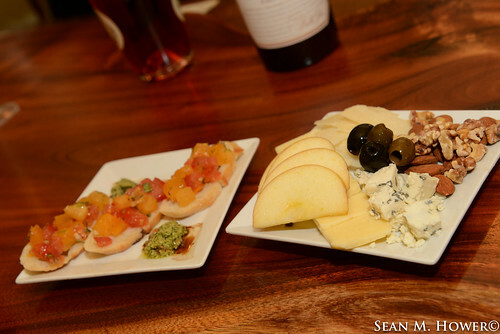 Da Vine Art is ideal for private parties, and can be reserved for your own gatherings. Da Vine Art is open Thursday, Friday and Saturday, 4:30-9:30pm, and Happy Hour runs from 4:30-6:30pm (that’s when they have buy-one-get-one-at-half-price, and there are $3 tapas). Their Facebook page shows that day’s specials, ranging from Maui Beer and Don Julio 1942 for just $21 to a discounted tapa with two drinks. 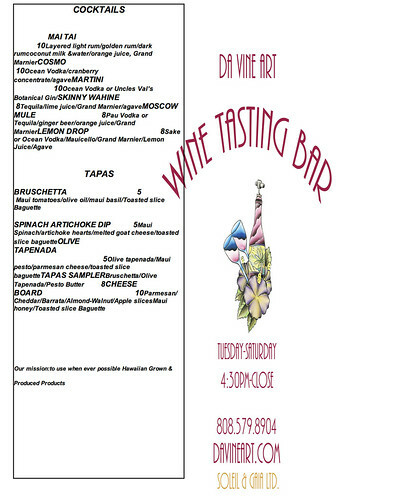 In July the bar plans to open 6 days a week with wine seminars on Monday.